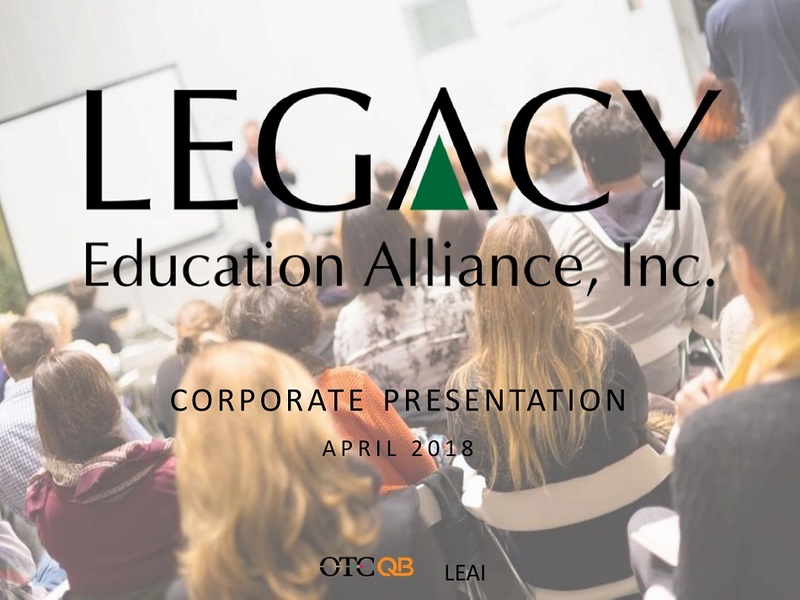 1 This presentation has been prepared by Legacy Education Alliance, Inc . (the ‘Company’) and includes information from sources believed by management to be reliable . No representation or warranty, express or implied, is made as to the accuracy or completeness of any of the information set forth herein . 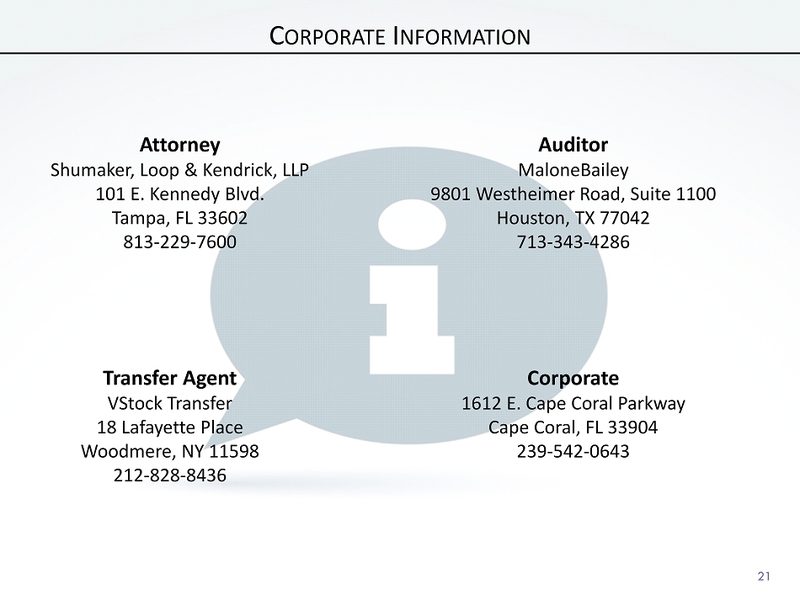 The information contained herein is as of the date hereof and is subject to change, completion or amendment without notice . 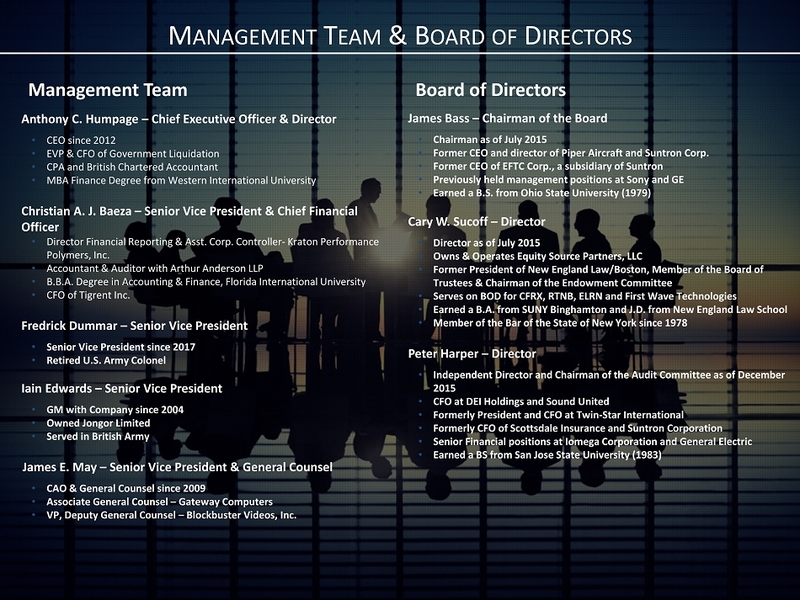 This presentation contains statements, estimates and projections with respect to the anticipated future performance of the company that may be deemed to be “forward - looking statements” within the meaning of the “safe - harbor” provision of the Securities Litigation Reform Act of 1995 , and within the meaning of Section 27 A of the Securities Act of 1933 , as amended, and Section 21 E of the Securities Exchange Act of 1934 , as amended (the "Exchange Act") (which Sections were adopted as part of the Private Securities Litigation Reform Act of 1995 ) . 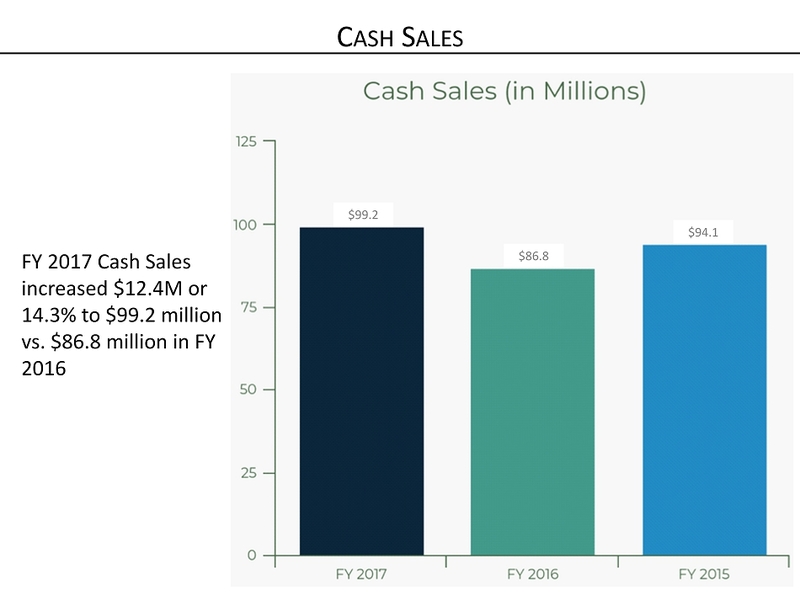 These statements, estimates and projections reflect various assumptions made by the Company concerning anticipated results, which may or may not prove to be correct . 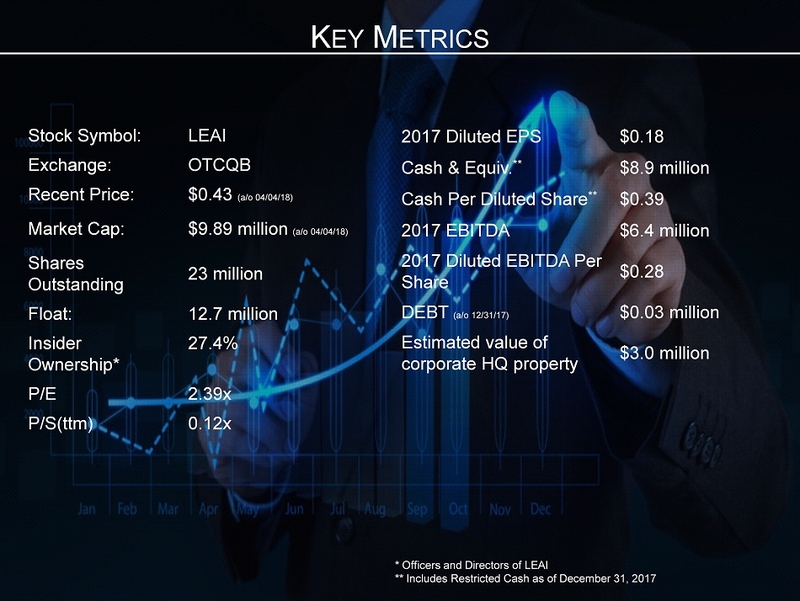 All statements contained in the presentation that address operating performance, future direction, management and control of company, events or developments that are expected to occur in the future (including statements related to earnings, expectations, sales, capital expenditures, or statements expressing general optimism about future operating results) are forward - looking statements . Statements preceded by, followed by or that otherwise include the words “believe,” “anticipate,” “estimate,” “expect,” “intend,” “plan,” “project,” “prospects,” “outlook,” and similar words or expressions, or future or conditional verbs such as “will,” “should,” “would,” “may,” and “could” are generally forward - looking in nature and not historical facts . 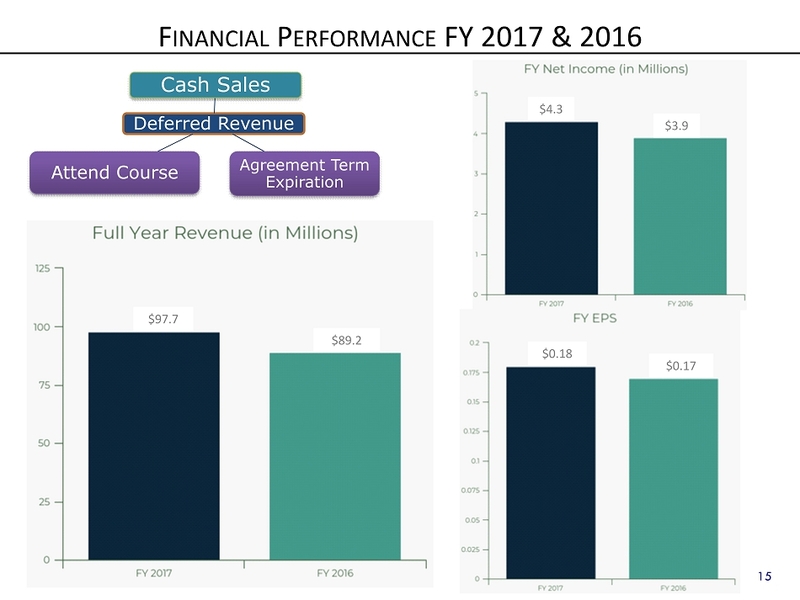 Actual results could differ materially from those reflected in the forward - looking statements contained herein as a result of a variety of factors, many of which are beyond the Company’s control . 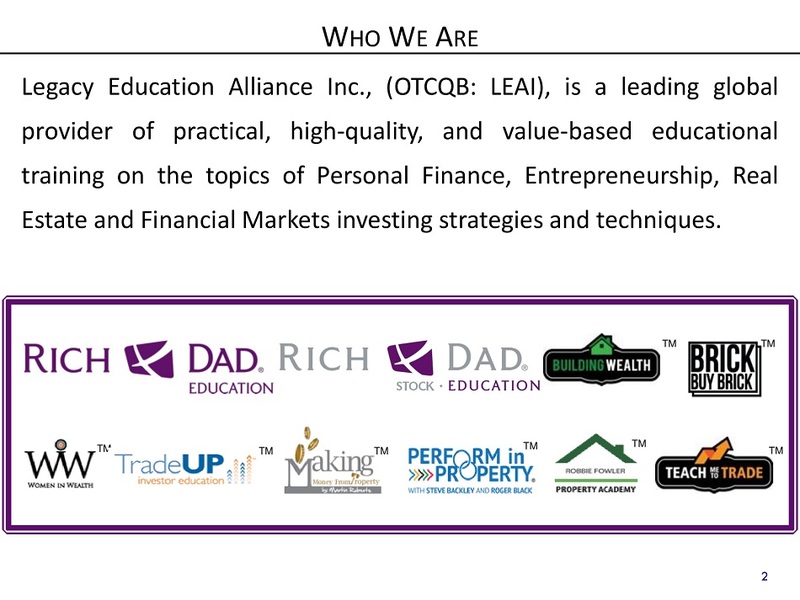 Factors that could cause actual results result to differ materially from those described include, without limitation, those factors disclosed under Risk Factors” in our Form 10 - K filed with the U . 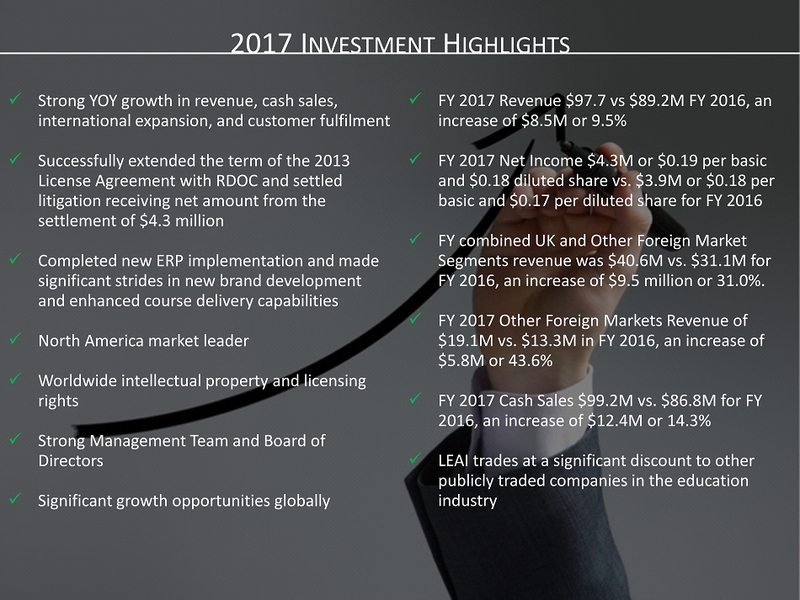 S . Securities and Exchange Commission (“SEC”) on April 2 , 2018 for the year ended December 31 , 2017 . 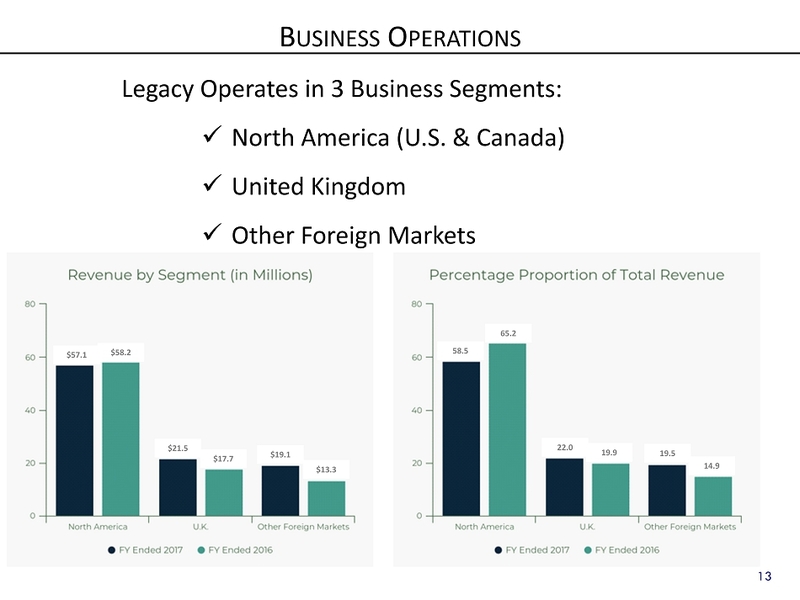 This presentation is qualified in its entirety by our filings with the SEC, which contain more complete information about the Company and the risks of investing involving our company . 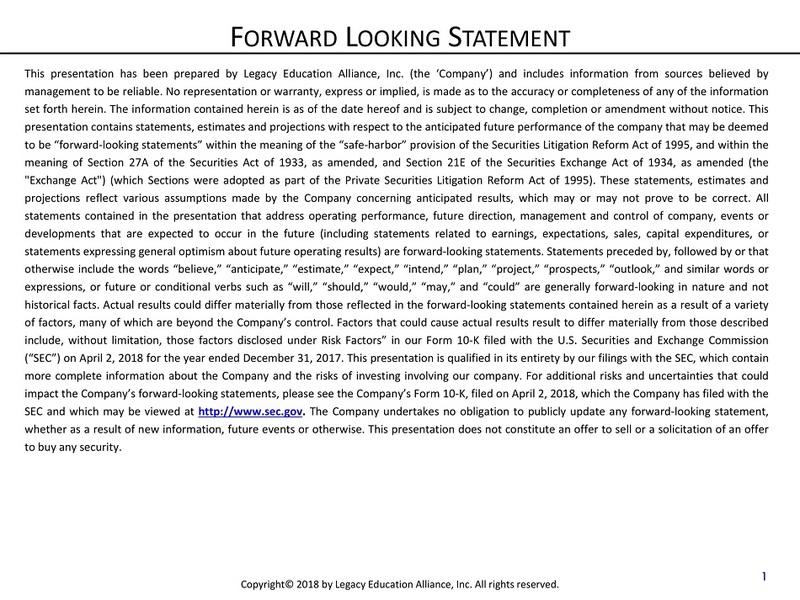 For additional risks and uncertainties that could impact the Company’s forward - looking statements, please see the Company’s Form 10 - K, filed on April 2 , 2018 , which the Company has filed with the SEC and which may be viewed at http : //www . sec . gov . 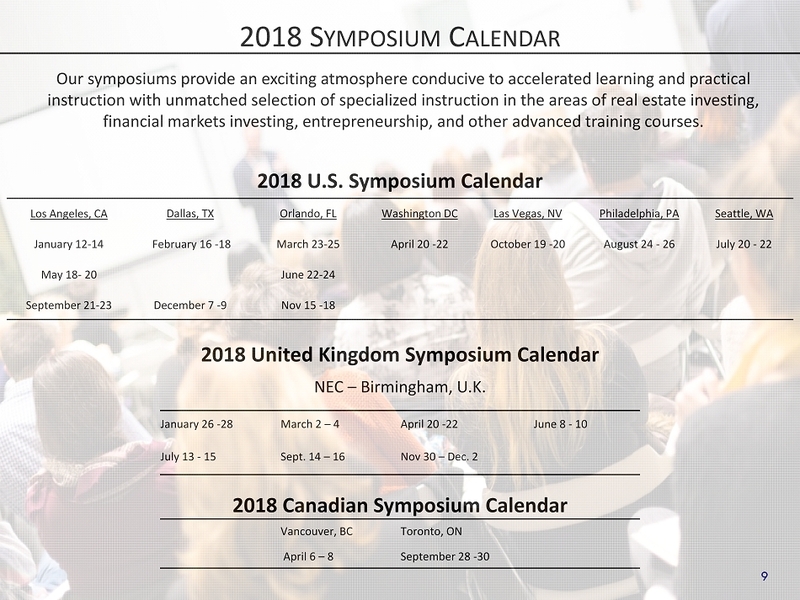 The Company undertakes no obligation to publicly update any forward - looking statement, whether as a result of new information, future events or otherwise . This presentation does not constitute an offer to sell or a solicitation of an offer to buy any security . 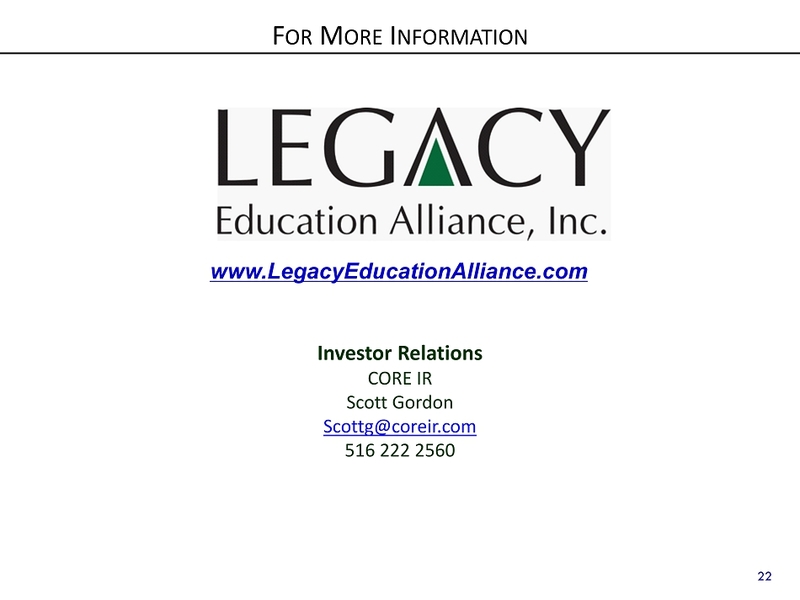 F ORWARD L OOKING S TATEMENT Copyright© 2018 by Legacy Education Alliance, Inc. All rights reserved. 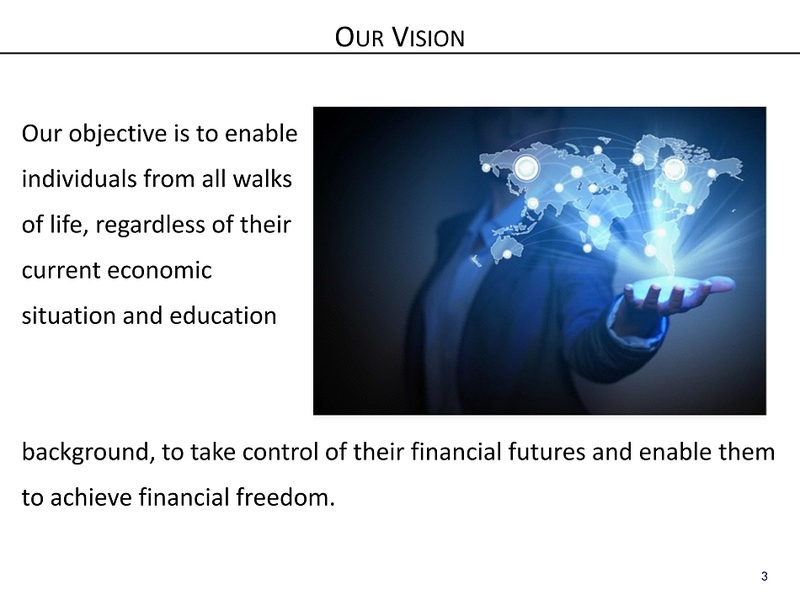 3 O UR V ISION Our objective is to enable individuals from all walks of life, regardless of their current economic situation and education background, to take control of their financial futures and enable them to achieve financial freedom. 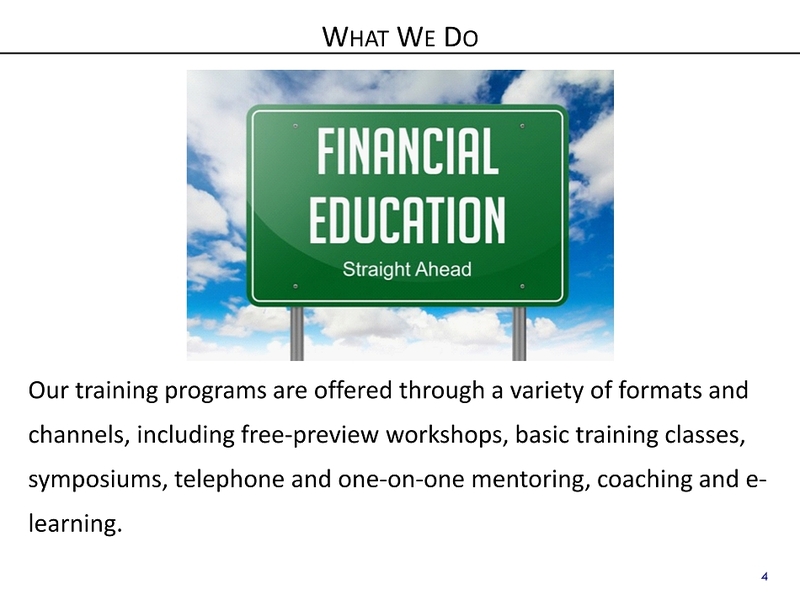 4 W HAT W E D O Our training programs are offered through a variety of formats and channels, including free - preview workshops, basic training classes, symposiums, telephone and one - on - one mentoring, coaching and e - learning. 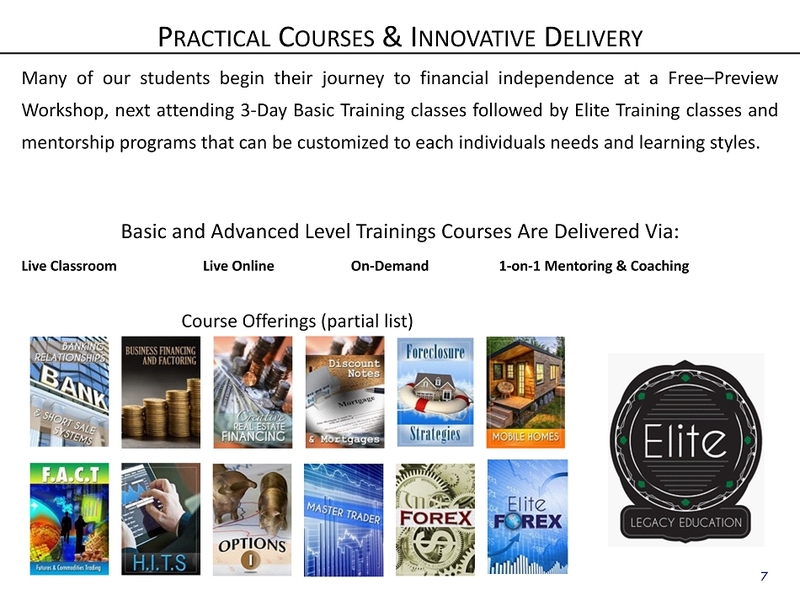 11 H OW W E E ARN R EVENUE » S tudents pay for their courses in full, up - front or through payment agreements with independent third parties. 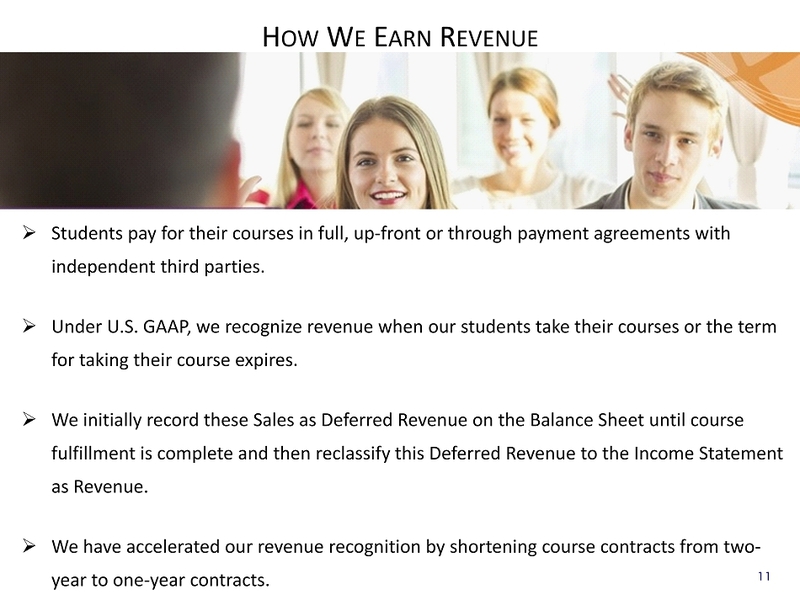 » Under U.S. GAAP, we recognize revenue when our students take their courses or the term for taking their course expires. 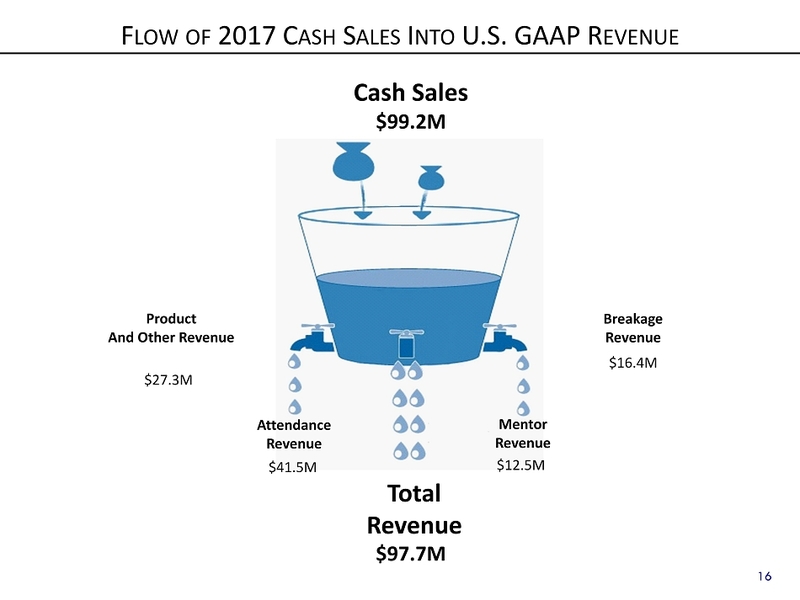 » We initially record these Sales as Deferred Revenue on the Balance Sheet until course fulfillment is complete and then reclassify this Deferred Revenue to the Income Statement as Revenue . 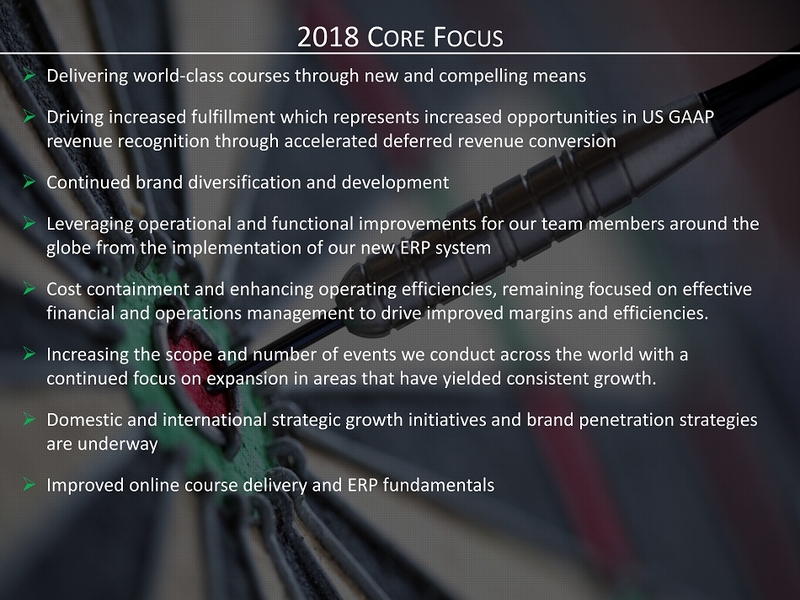 » We have accelerated our revenue recognition by shortening course contracts from two - year to one - year contracts. 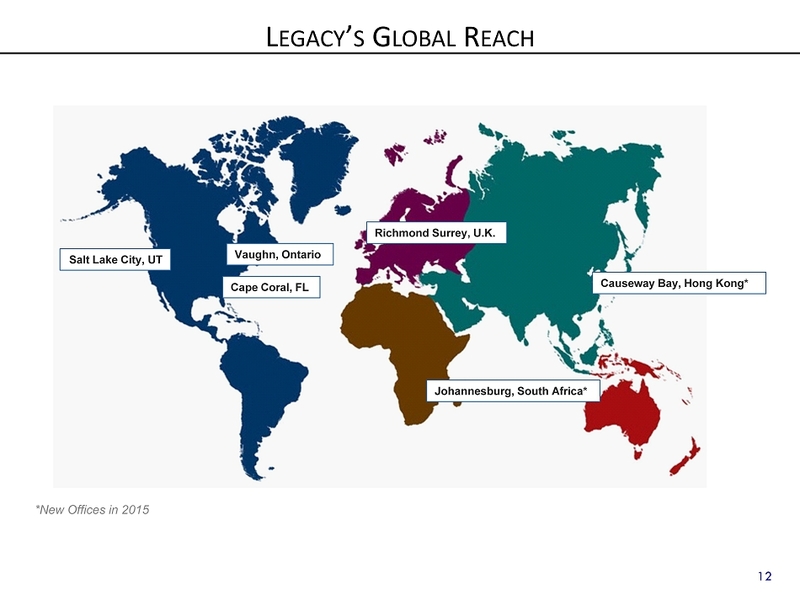 19 L EGACY G ROWTH S TRATEGY x Continued development of our U.S. businesses including e - learning and other electronic format offerings and the development of new brands. x Development of our International markets with tailored course offerings and country expansion / Improving blended rate margins x Manage the security and longevity of our brands, protecting our individual brands, reducing brand fatigue and providing brand diversification while maintaining overall market share and competition . 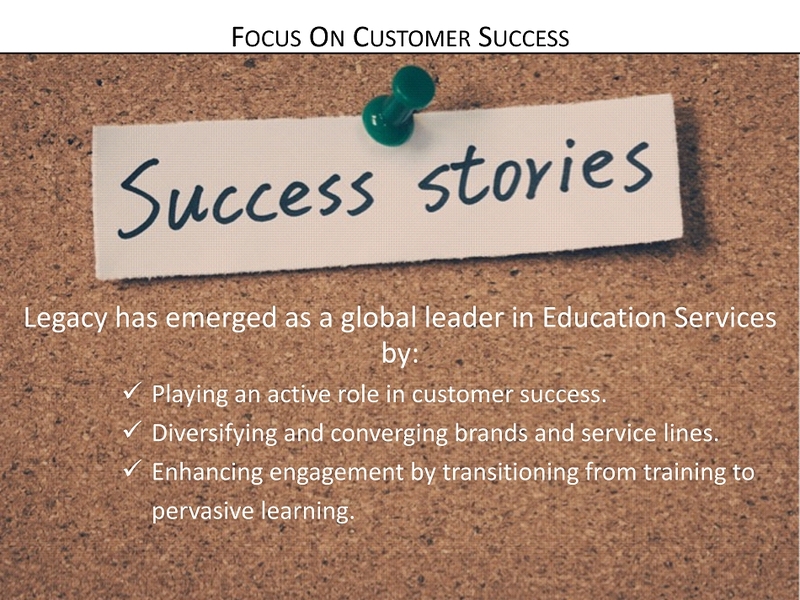 x Fulfilling our customer obligations while optimizing the pace and improving the cost efficiency with which we fulfill our customer commitments: □ expanded the options for course fulfilment □ improved outreach helping customers manage their course schedules; □ increased the number of global symposiums we hold globally. 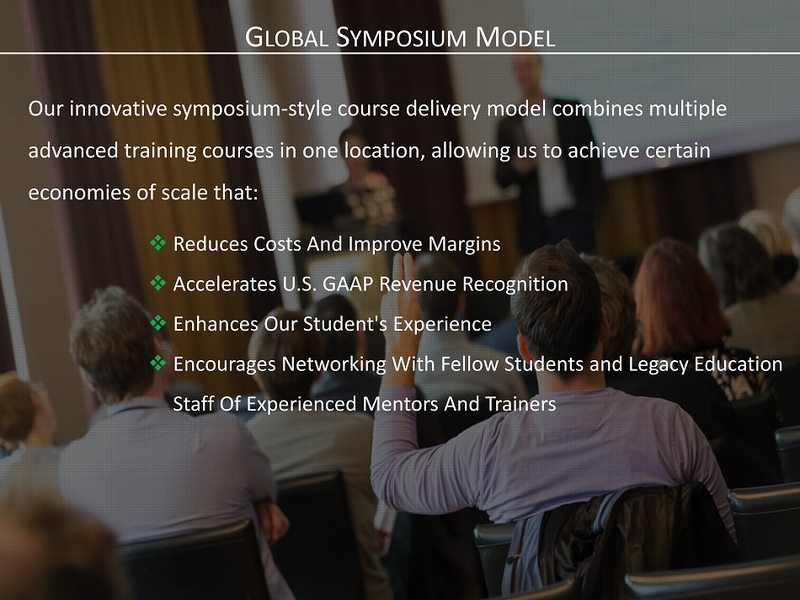 x Enhanced eLearning through interactive and online distributed course content and enhanced technology platforms capable of streaming video, interactive e - learning, and distributed e - learning. x Consistent quality assurance through high standards for marketing, sales presentations, and training delivery x Continued professional development by identifying, recruiting and retaining a team of trainers, mentors and coaches who possess practical, hands - on experience in their areas of expertise.